For an individual such as me, if I had to choose between a brand new game and a classic/retro one, odds are I’d choose the latter; in the late 80’s the Sega Genesis was rich with some fantastic side-scrolling, hack and slash type games such as Altered Beast, Golden Axe, and more. 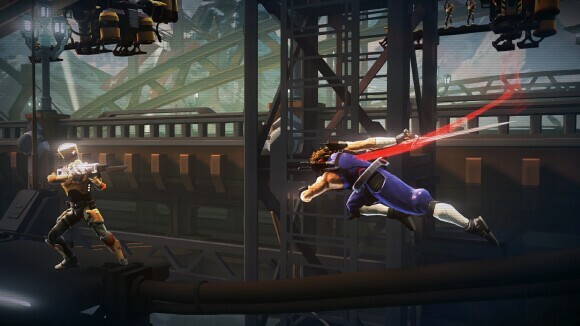 Capcom threw some of their arcade games into the mix as well, one such being the classic Strider. Strider for Genesis was a pretty cool game for its time. 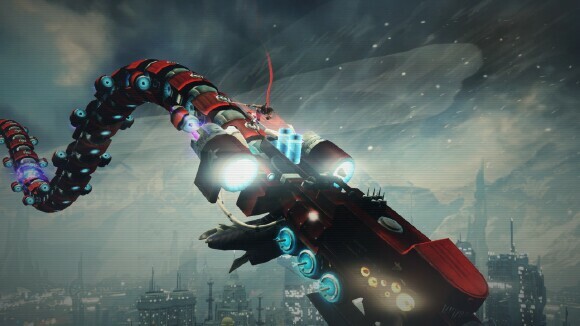 For one, it was the only game of its kind to have the hero leap from immeasurable heights to slash away with giant anime-style swords at robotic monsters, etc. 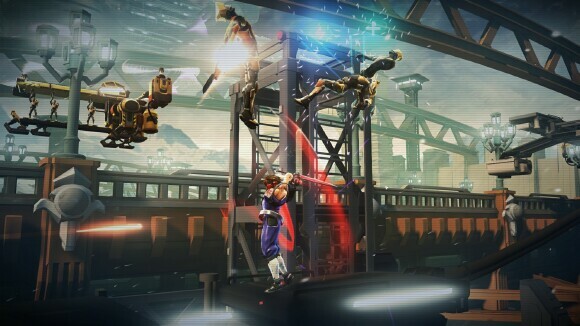 In 2014, Capcom’s doing it all again with a new reboot/retelling of their classic Strider game. With the help of developer, Double Helix Games, the classic side-scroller is reborn with all new graphics and more. The plot to the game remains (for the most part) unchanged… save for you travelling to mountains, the Amazon, etc. the game remains in the same area of a dystopian Kazakhstan (Very nice)! 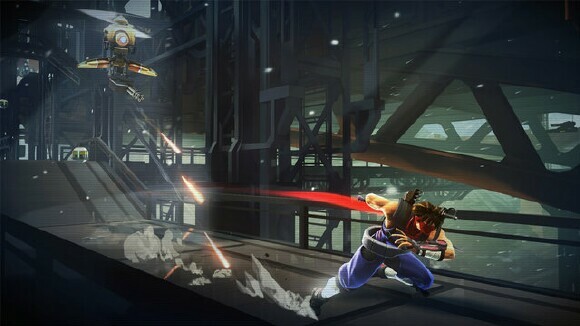 You are Strider Hiryu, and you must battle your way through mechanized armies, monsters, and even annoying women to defeat and emancipate everyone from the rule of The Grandmaster. Since technology has progressed in the past 25 years, this adaptation is waaaaay more fluid. 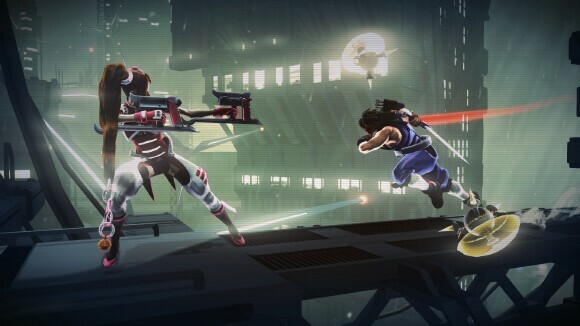 Strider leaps through the air and slashes at baddies without any pauses or lag. He actually makes it look easy. His weapon (known as The Cypher) takes on many forms this go around… not just meant to be a sword. As you progress through the game, you gain numerous weapons and moves that help assist you in fighting the increasingly difficult baddies. The music and sound in the game takes plenty of cues from the original. As I mentioned, the game gets increasingly difficult as you progress. They pretty much throw in harder to fight baddies as you go along. In addition, the way the game seems to be slow on collecting energy power-ups, causing you to figure out ways on how NOT to get hit too much. My personal strategy is to just keep slicing things… especially once you’ve received the ability to block laser fire with your sword. I have to say, as much fun as the Amazon level was in the original, I do not miss getting ripped apart by piranha. 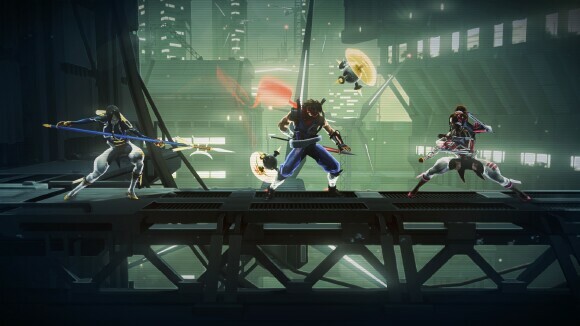 Strider is definitely a worth game to its predecessor from the 80’s, and seems more like a retelling than a reboot of the game series. I should also mention, of all the current PS4 downloadable titles, this one certainly feels like the first true one for the system. 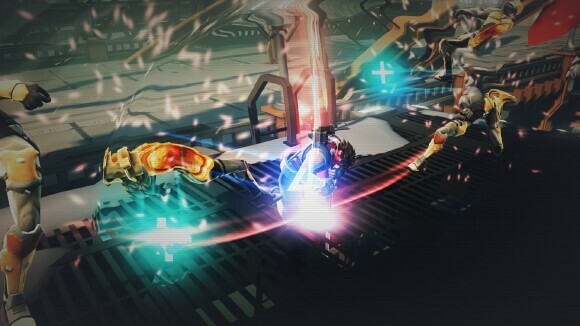 Strider is available now for PS4, PS3, Xbox 360, Xbox One, and Steam.